Bandwidth’s Acceptable Use Policy (AUP) describes actions that are not permitted using Bandwidth services. Bandwidth’s Terms and Conditions (and other applicable agreements) describe the agreement between you and Bandwidth regarding the use of Bandwidth services. 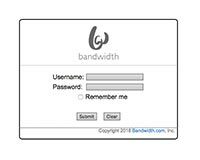 Bandwidth reserves the right to suspend or close any account if the user violates our Acceptable Use Policy, Terms of Service, or any other applicable agreements. Below is a sample of what practices are not allowed when sending and receiving SMS messages using Bandwidth’s messaging service. You can look at the full AUP as well as report any unwanted calls by visiting our legal page here. Mobile carriers do not allow marketing SMS messages, whether solicited or not, to be sent on long codes (10-digit numbers). Marketing messages may only be sent using short codes (special 5 or 6-digit numbers). Sending threats or unwanted messages to a single number without the recipient’s permission is restricted. You are responsible for ensuring that the users of your application do not send harassing or abusive messages. 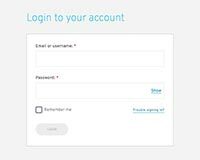 Sending messages with fraudulent information, or phishing to request confidential information from subscribers, is not allowed. Spoofing the SenderID, or otherwise attempting to mislead message recipients as to who is sending the SMS message is not allowed. 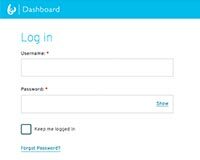 Messages that originate from the Bandwidth platform must be sent from a valid Bandwidth number that is assigned to the customer’s account. For A2P Messaging, SMS messages should only be sent to recipients who have opted in to your service and/or are expecting communication from you. Bandwidth and other upstream carriers actively monitor for this kind of activity. Bandwidth reserves the right to block the phone number or suspend your account if customer abuse is reported. See also, Bandwidth’s Spam Blocking Policy.